This floor lamp has a surprising geometric composition. 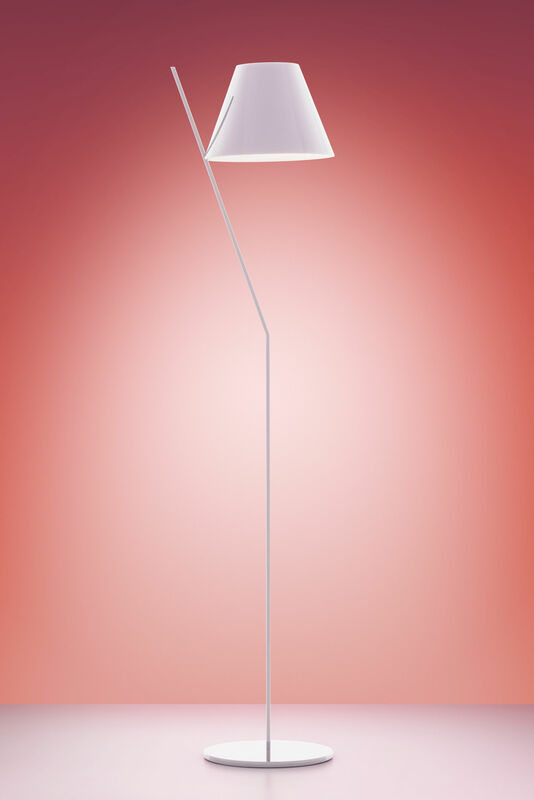 The lampshade is balanced on an angled stem. 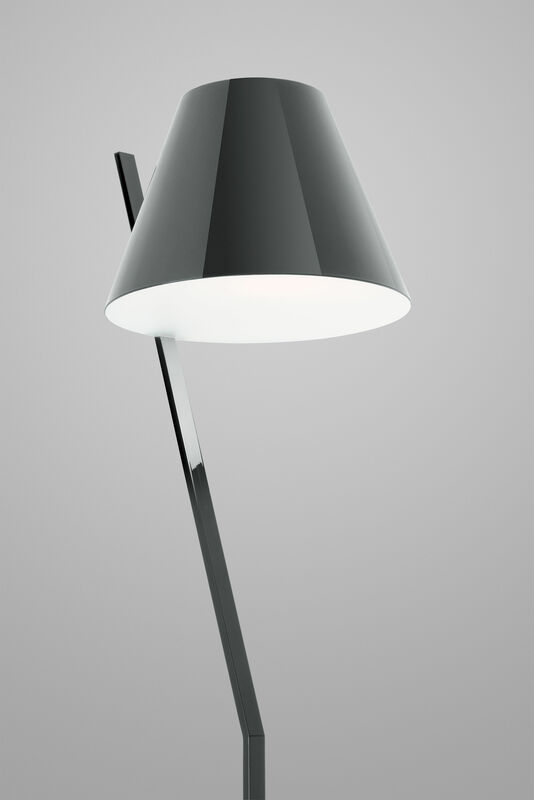 The lampshade is joined to the stem with a minimalist fitting: it appears to be levitating. This design, which appears simple and essential, requires great technological know-how. Designers Andrea Quaglio and Manuella Simonelli re-visit the archetypal shape of a floor lamp, assembling basic elements (lampshade and base), in an original and unusual way. The lampshade is closed at the top and bottom with two disk shades that produce a pleasant, soft, direct and indirect light.